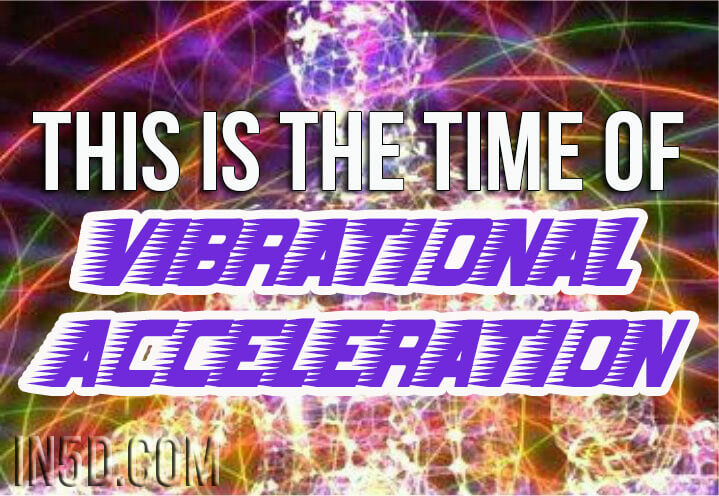 This is the time of the acceleration, as the energies of the earth move out of lower vibrations of density and into higher vibrations of movement and creation, connecting you to the flow of Universal energy. You experience this as a feeling of time passing quickly and feel that you are losing control of time. But time as you have created it is a measure of your earthly manifestations… As your vibrations increase material time is irrelevant as manifestation happens in their perfect moment and what you feel is creation flowing around you as you shift your awareness from the future into knowing that your power is with you wherever you are. This is the acceleration, the quickening of the earth’s energy as it transcends the density of the third dimension into higher dimensions. Every being on the planet is feeling this shift in energies and your experience of it will depend on your own level of vibration. Because you have lived in the density of the material plane for so long and your physical body exists at that level the acceleration can feel like a force that pushes you beyond your limits, challenging you on every level to expand your awareness of your being and moving you into a space where you lose your sense of the physical. As your physical awareness connects with the acceleration you allow manifestation to occur in its own moment, removing your judgments and expectations, freeing yourselves from the burden of waiting for things to happen. This flow allows your soul to participate in the process and you will no longer feel stuck, which is merely the feeling of wanting the energy to flow at a higher level than your current vibration will allow. How fast do you want the acceleration to go for you? How much are you willing to have faith and trust in the process? This is your choice. The energy is there, all you have to do is step into it. Your body experiences physical symptoms of acceleration by feeling ungrounded, because you have used the dense energies to ground yourself. Now you must ground in both worlds, spiritual and material, and even then, your perception of being grounded must shift from the illusion of 3D density which exists because you have been unable to experience the higher vibrations that everything carries. Everything exists within multiple dimensions and vibrations and as yours are raised you are able to connect to everything at a level that is equal to yours. You may lose interest in materialism and be more interested in the spiritual. This can be ‘un-grounding’ as well. To be more grounded in these energies create the balance between the spiritual and material in your own reality, as the higher vibrations offer new and different gifts that are connected to you in non-physical ways. The acceleration is here as confirmation that you have opened the doorways to new dimensions and are in a transitional phase that will allow you to find your new center, to experience your reality in these new vibrations and be open to the gifts of understanding, awareness and perception they have for you.